The previous year is already gone, replaced by a new year. Thus, it seems fitting to quote marshal Micah Torrance’s description of the passage of time from The Rifleman: “Like the wind across your face, Lucas boy.” He is an older man talking to a younger man, Lucas McCain, about the fleeting nature of time, a major theme in the show. The series shows the special relationship between widower, Lucas McCain and his son Mark. We see how Mark changes, from a ten-year-old to an adolescent and how this affects the relationship with his father. He learns to accept people’s differences(another major theme), and learn there is a time for different things in life. But, even in the early episodes, Mark takes an active role in defending his father and saving his life. The Rifleman really deals with Mark’s education in the broadest sense, from going to the confines of the schoolhouse to learning about survival amidst rugged terrain. His interaction with his father gives the show its dynamic, as they confront outlaws, outcasts, people uncertain of what they want and people who are too proud to admit they may be wrong. In the last episode, we see Mark with a potential girlfriend, though it is clear Mark is not ready for commitment. If the series had continued, Mark would have become an adult, which was not what The Rifleman was about. As an audience, we are visual witnesses to the characters’ swift aging, and we are forced to accept Micah’s statement about the sudden rush of time. Prejudice has been around since human beings were created. Stories have been written about people who have been perceived as “different”, and the social problems they encounter. Labeling people is both a mental shortcut and protective device. It is a mental shortcut, because we need not take the trouble to investigate the personality or personalities in question in depth. Labeling is a protective device, because it shields us from concepts, ideas, beliefs and ways of living that may run counter to our own. A vivid example of labeling is given in one episode of The Rifleman, a western, which ran from 1958-1963. The show was ahead of its time, because it featured two episodes starring an African American before civil rights legislation was passed by President Johnson, and several episodes dealt with prejudicial labeling. How folks are different and the need for tolerance are some of the main themes in The Rifleman. It was also the first television show to portray a widower and his son as main characters. It is precisely the interaction between Lucas McCain(Kevin”Chuck” Connors) and Mark McCain(Johnny Crawford) that give the show its special dynamics as the adult world and the child world intermingle and often collide. However, the interaction is blatantly honest and one displaying mutual respect. Questions are raised, sifted through, answers arrived at. In one episode, a saloon girl is called a hussy by some of the girls in Mark’s school. When Mark asks his dad what a hussy is, Lucas replies: “A hussy is a worthless woman. A no account.” Mark has already met the woman in question and his instinct rebels against this label. Lucas explains that when folks are different, it’s easier for others to put a label on them rather than to take a closer look. But Mark retorts: “But a pickle jar has a label on it.” And Lucas responds: “Yes. Just be mighty sure there are pickles in the pickle jar.” A gleam comes into Mark’s eyes. Several nights ago I saw a very funny episode from the 1960-1962 sitcom Pete and Gladys. 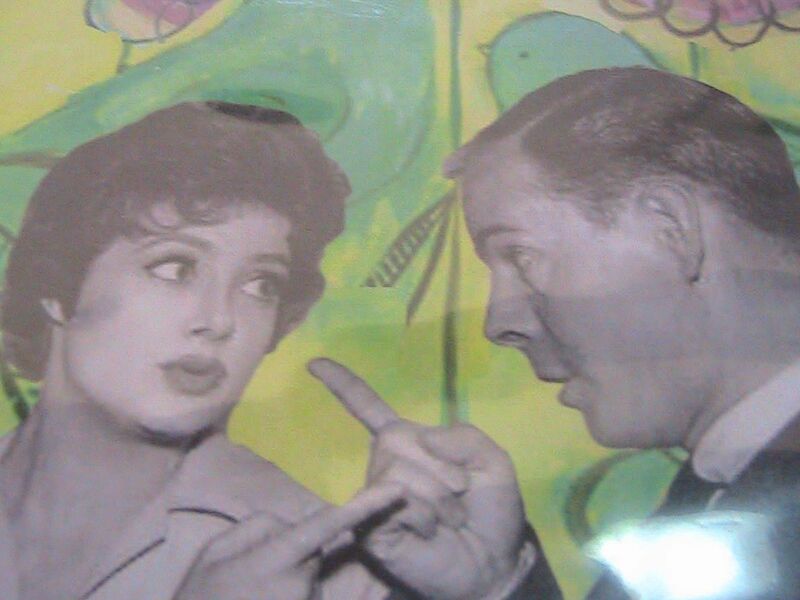 The show co-starred Harry Morgan(Bratsberg) and Cara Williams(Bernice Kamiat). As is well-known, Cara was an irascible redhead, jealous of others’ success, and, in general, a difficult person to work with. However, there is no denying the lady had talent. In several episodes she displays her talent, but she is at her best in the episode”Sleepy Time Wife.”, which deals with the fear of a dentist. There is certainly nothing novel in this theme, but there is in her portrayal of it, which borders on the surreal. If you’re looking for unbounded laughter, this episode might be your answer. You may find this through Nostalgia Merchant.